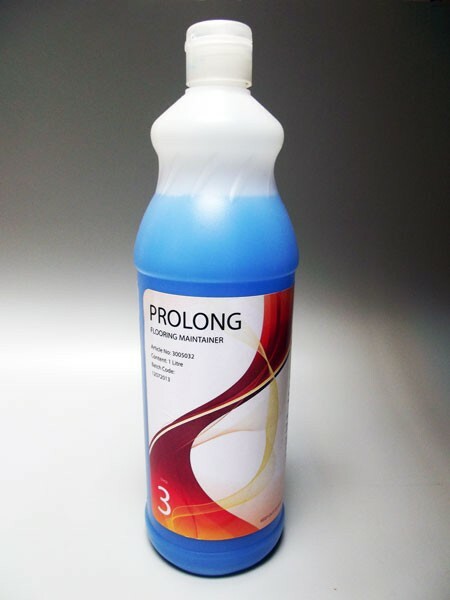 Prolong Floor Maintainer has a neutral pH and will not harm or blush emulsion polish films. It is a clear bright blue free flowing liquid with a refreshing mint fragrance. It is used for cleaning and maintaining polished floor surfaces with the green applicator and white pad leaving a clean shine.